﻿ Pepe: "Cristiano Ronaldo is an example to follow for everyone"
02.12.2011» Pepe: "Cristiano Ronaldo is an example to follow for everyone"
It's true that Pepe and Cristiano Ronaldo friendship goes beyond football pitches, but Real Madrid center back claims that there is no other player in the World, who is actually better than Ronaldo. Pepe is also very convicted that he'll win big things in both Real Madrid and Portugal in the upcoming years. 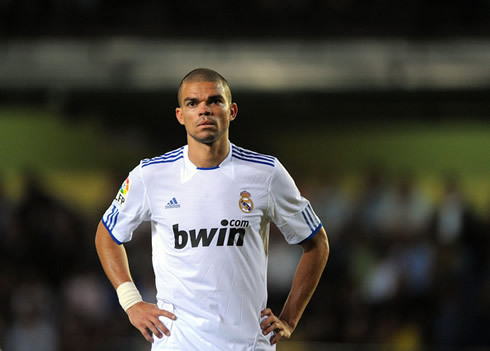 Very few people know that the real name of Real Madrid's center back, Pepe, is actually Képler Laveran Lima Ferreira. In an interview granted to the newspaper "O Jogo", the Brazilian-born Portuguese player had no second thoughts in ranking Cristiano Ronaldo as the best player in the World. Pepe emphasized that Ronaldo sets a great example in what concerns professionalism and that he is the best captain the Portuguese National Team could have. The center defender also confessed his belief that this season could be a special one, if he finally manages to win the UEFA Champions League, a trophy that he is eager to conquer. Pepe joined Real Madrid in 2007, after calling the attention of several "big sharks" in Europe, when playing in F.C. Porto. The now Portuguese player, has arrived to Portugal back in 2001, being only 18 years old and represented Marítimo until 2004. He had 129 appearences in both Marítimo and F.C. Porto, scoring for 9 times. In Real Madrid, the Portuguese defender already counts with 91 games and 3 goals, from which he played most of the times as center defender, even though José Mourinho has already tested him as a defensive midfielder for a few occasions. Pepe remains having a big dream and doesn't hide it from the media. The Portuguese defender is anxious to put his hands at the UEFA Champions League trophy and he believes this could be the year. Pepe: "I'm still missing to win the UEFA Champions League. 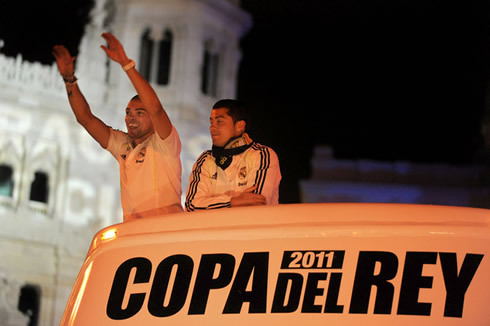 I've already won the "Copa del Rey", but what I really want is the "Champions". I'm very confident this could be the right year for that to happen. We are a very strong team, in a very similar way to the Portuguese National Team, since everyone is united towards the same objectives", told Pepe to the newspaper "O Jogo", when talking about his expectations for this season. Pepe renewed his contract with Real Madrid in last July, in a process that dragged for a while. The Portuguese player confessed to be aware that other strong European teams were interested in his services, but he explained why chose to be loyal to the Merengues. Pepe: "Real Madrid is a club that has always treated fairly and very well. I think that people recognize that I always give my best on the field and that's why I get many supporters admiration", noted the Real Madrid defender, when analyzing his connection to the club. Is Barcelona the best team in the World? That's a question that keeps popping up in many football fans heads, but the Portuguese defender has his own opinion on this matter. Pepe: "I won't hide that they are a very good team, with quality players and who take advantage of the fact that they play together for a long time already. But I don't it's fair to claim that Barcelona are the best team in the World. We have to realize that every team has its own way of playing the game. Within our style, Real Madrid is certainly the best in the World. 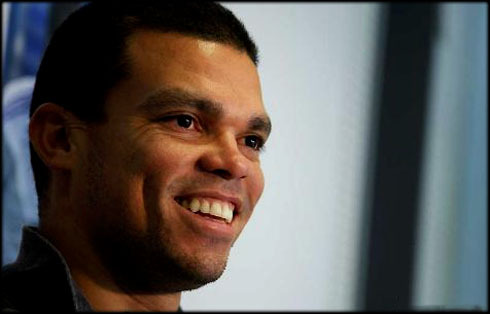 Barcelona could also be considered the best in the World in their respective style and game model", revealed Pepe. Regarding Cristiano Ronaldo, Pepe has nothing but kind words. He started by claiming that Cristiano Ronaldo is the best player in the World and that he deserves to wear the armband for the Portuguese National Team. Pepe: "He's the best player out there. He has always shown a great professionalism and he is truly an example to follow for everyone. I'm really happy for having the opportunity to play with him in both Real Madrid and the Portuguese National Team", stated Pepe, before adding: "I like being a leader in the position where I play, but the Portuguese National Team is definately well represented by having Cristiano Ronaldo as a captain." Real Madrid next scheduled match is against Sporting Gijon, for "La Liga", on the 3rd of December, 2011. Cristiano Ronaldo returned to training this last Thursday, so he should be an option as a starter for José Mourinho. This Saturday you can watch Aston Villa vs Manchester United for the English Premier League, but also Sporting Gijon vs Real Madrid, and Barcelona vs Levante, both games for the Spanish "La Liga". They are all available from our soccer live streams section and you can check how much time is left for the next Cristiano Ronaldo game, by looking at the countdown timer, placed at the top right corner of any page.